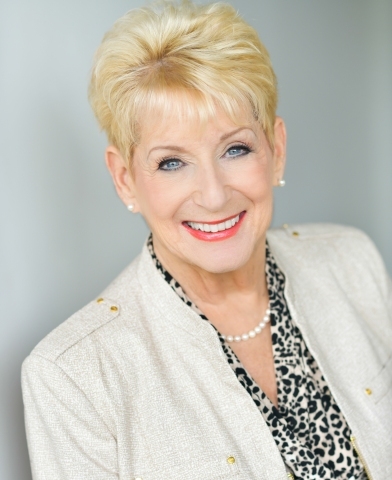 ST. LOUIS--(BUSINESS WIRE)--Nancy Friedman, The Telephone Doctor, a nationally known customer service keynote speaker, has been selected to speak at the annual FASTSIGNS® International Convention, January 19, 2019, in Orlando, FL. Friedman will deliver: What’s New In Customer Service and share why “everything old is new again” in her own fun loving, engaging and refreshing method of helping companies communicate better with their customers helping FASTSIGNS® franchisees be best in class. She will also present a session on: “Developing the Top 7 Traits of Successful Customer Service” which explains the mentality, culture and philosophy of customer service. Attendees will receive customer service tips, ideas, skills and techniques they can use immediately and forever. Takeaways are the mainstay of Friedman’s sessions. Filled with laugher and humor, prizes and surprises, audiences will walk away feeling great about their FASTSIGNS® franchise, themselves, and their customers. “FASTSIGNS® franchisees are definitely on the front lines when dealing with the public. It is key to have a solid understanding of best practices for customer service and sales. I am excited to share some of the best techniques they can utilize to improve the customer experience,” said Friedman. “From the novice to the seasoned, we’ll have something for everyone”. FASTSIGNS International, Inc. is the largest sign and visual communications franchisor in North America and is the worldwide franchisor of more than 625 independently owned and operated FASTSIGNS® centers in nine countries including the US, Canada, England, Brazil, Saudi Arabia, UAE, Grand Cayman, Mexico and Australia (where centers operate as SIGNWAVE®). Its International Convention brings together franchisees from around the world to learn and improve their business, and learn about products and services.